LOOK: Baby Zia’s Photo receives MILLIONS of likes on Facebook! On Instagram, Marian Rivera thanked everyone involved in the number 19 ranking of her FB page and for entering the Top Public Figure Facebook Pages Worldwide Ranking. She is the one and only Filipino included on the Top 20 with 14.8M likers and surpassed other Hollywood stars. 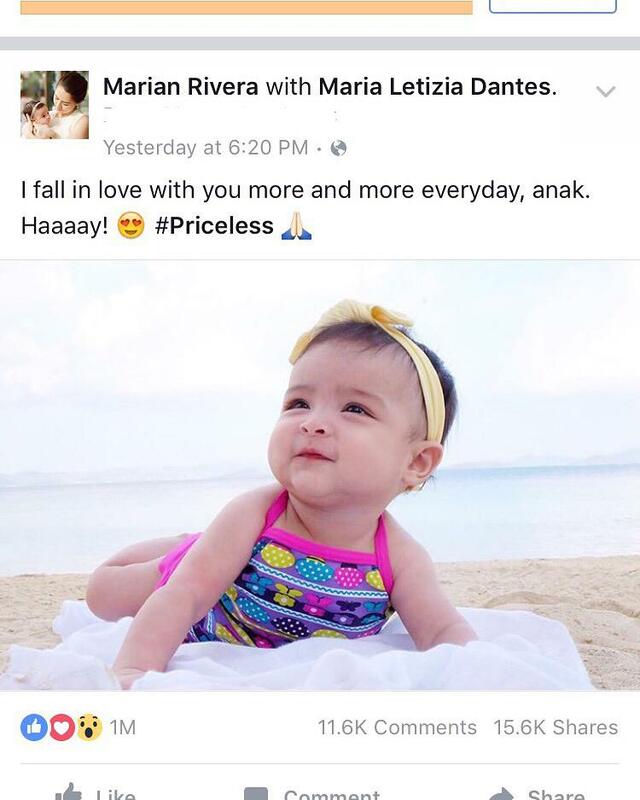 Marian will surely agree that Baby Zia has a share in the number of likes on her FB page because everytime she post pictures of her baby with Dingdong Dantes, her FB page’s likes increases. Marian’s fans also promised, next month, that they will make the actress’ FB page increase to 15M likers. Meanwhile, just a few more weeks and we will soon watch Marian in her morning talk show on GMA-7 with the time slot of 11 AM. It will air Mondays- Fridays, and it will be base on her experiences, and Marian is not going to have a co-host in the show. She will not start taping Encantadia this April anymore, but will start after the election. But now, Direk Mark Reyes and his team is already preparing for the technical side of the fantaserye. Previous PostPHOTOS: Baby Maria Letizia having fun in the beach! Next PostLOOK: The Encantadia 2016 New Teasers!